Has your USB memory stick or camera memory card stopped working or is damaged? Call 0207 516 1077 (8am-10pm excluding Sundays) and speak to a real hard drive recovery technician who will offer free data recovery advice guide you through the hard drive recovery process. 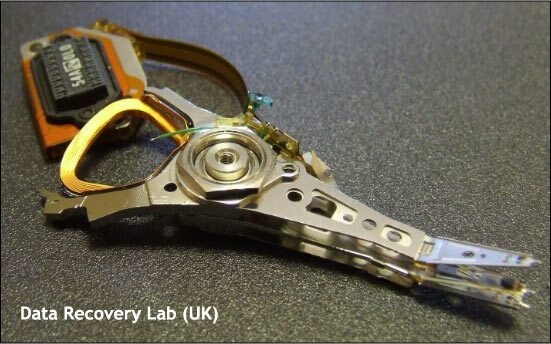 SEE A VISUAL REPRESENTATION OF HOW DATA RECOVERY PROCESS WORKS HERE..
Data Recovery Lab has been helping private and business customers to recover their critical data since 2001. Hard drive recovery specialists can help you with laptop HDD recovery, SSD, memory stick recovery, memory card, Compact Flash (CF), RAID, NAS and external USB hard disk recovery. FREE Collection and FREE delivery of your recovered data in all areas of the UK mainland. Request hard disk collection here. EMERGENCY HARD DRIVE RECOVERY 24 HOURS A DAY, 7 DAYS A WEEK. Your work cannot be disrupted just because everywhere is closed in the evening, midnight, weekends or Bank Holidays. RAPID RESPONSE HARD DRIVE RECOVERY: We deliver a highly successful data recovery service at the FASTEST pace in the UK in order to get you back up and running with the shortest possible delay. Even most difficult data recoveries can be done within 48 hours. WE CAN recover data from SCSI HDD, SSD, RAID, SAN or NAS servers, mirrored and Striped Volume, SSHD hard drives, memory sticks, memory cards and all types of digital media with specialist knowledge and expertise in recovering data from Apple MAC, Linux & Unix and Windows file systems. FREE POST-HARD DRIVE RECOVERY CUSTOMER SERVICES: Helping you how to find and restore your recovered data and restore your meals and settings so that you get back to work without any further delays.